Why do I think that Hoya pimenteliana Kloppenburg is a synonymous name for Hoya cagayanensis Schltr. ex C. M. Burton ? It matches the type, Ramos #7374. On the other hand, it doesn’t match Kloppenburg’s pictures in Fraterna 12(3): (1999), nor his written description. It doesn’t match anything so labeled in the various travesties, called World of Hoyas. green but not dull. Iridescent cannot be dull. Note: In his book he said long attenuate, acute. a ligule at each sinus. Corolla: The pictured one does not match what See photograph. I found on the flowers I examined. Pollinarium: Near to those of H. bordenii, It doesn’t at all resemble Hoya bordenii. also photographed Ramos & Edaño #45730. NOTE: In Fraterna vol. 21(1): 16 & 17 (2008), Wayman showed a picture of what appears to be this species though there isn’t enough contrast in the picture to be sure. On the other hand, such a poor picture would be impossible to identify. She labeled it Hoya cagayanensis stated that she was the one who mistakenly identified Hoya sp. CMF-8 as being Hoya cagayanensis. She said she thought it was that because the pollinarium matched the type specimen. I find that hard to believe because it was Kloppenburg who first published a piece claiming CMF-8 was Hoya cagayanensis (He also published two books naming CMF-8 as Hoya macgregorii). Also, I find it hard to believe that Wayman was the culprit to make that determination based on a Hoya cagayanensis pollinarium because I am 100% sure she never saw a type or any other authentic specimen for comparison. What she had was a picture of Schlechter’s sketch of a pollinarium and it is common knowledge that Schlechter’s pollinaria sketches were inaccurate except for ratio of length vs. width. He simply didn’t pay much attention to them. The thing that really annoys me is that she wrote that “ The true Hoya cagayanensis was discovered in the Philippines by Monina Siar and it’s identity confirmed by Dale Kloppenburg.” Horse feathers!!! It was Maximo Ramos who first discovered Hoya cagayanensis in the Phillipines, long before Monina Siar was even born. It was I who first identified the true Hoya cagayanensis, about a year ago. I shared my finding with David Liddle in mid-2007, who confirmed it and then listed it as that in his 2008 catalog. Those west coasters remind me of the Russians and the Chinese, who’d like us all to think that every discovery and invention, since the beginning of history, was theirs. Ms. Wayman was very remiss in failing to tell you that the plant in her picture is the same one Kloppenburg republished, giving it the name of Hoya pimenteliana. Since Hoya cagayanensis came first, that is the correct name. Lesson for Ms. Wayman: It behooves you, as editor of a botanical publication, to learn the correct way to write a name. This one is Hoya cagayensis Schltr. ex C. M. Burton, NOT Hoya cagayanensis Schltr. (Burton). From here on, you’re going to find the text very boring and very confusing. It can’t be helped. Anything this man writes confuses. What is it about the name Hoya parasitica that brings out the one-upmanship in hoya publishers? Does anyone know what it really is and why does R. D. Kloppenburg feel it his mission in life (or so it seems) to continuously harp on the subject? What is it anyway?--- Countless former members of the former Hoya Society International. Reply: Last question first. I think I know what the real Hoya parasitica is but I’m not so sure about what all of those that Mr. Kloppenburg lumps with it are. Before I go further, there is a procedure that can be applied, called “Conservation.” It allows one to change a name from the oldest validly published name to a later name if that name is and has been more or less universally accepted as the correct name over a long period of time. Until very recently only genus names could be conserved. I am not a “Code Scholar” but it is my understanding that the “Code” now allows species names to be conserved as well, however, no one has applied for conservation of the name Hoya parasitica (or if so, I haven’t heard about it). If they did, I believe they’d have to prove that the species (or, rather, which of all those species) being called that is truly the one sent to Kew in the early 19th century. I was told it is a long and very exacting process that is hardly worth the time and trouble but I believe that those so intent on insisting upon using a name without priority should at least attempt to conserve the name before continuing to stir this pot of wholesale confusion. So, what inspired DK to become fixated over the subject of Hoya parasitica, acuta, verticillata, ridleyi, etc., etc., etc. ? I’m sure you’ll call it “catty” of me but my own personal opinion is it’s a case of “one-upsmanship,” -- wanting to be the first with sensational news— a botanical paparazzo! DK was not the first one to suggest that Hoya verticillata was the name with priority for Hoya acuta (and its synonym, Hoya parasitica), but he was the first that I’m aware of to jump the gun and publish those other people’s findings. In fact, one of the earlier researchers, who had concluded that Hoya verticillata was the older name for this species, published another article on the subject later on (in a much more prestigious publication than Fraterna). He sent a copy to me, prior to publication, along with a cover letter, asking me to, “Please do not share this with Mr. Kloppenburg (as if I would) because we do not want him to publish it before we can get it published.” I think that author’s article was just as flawed as Mr. Kloppenburg’s because what he wrote about was, in my opinion NOT the same species that Wallich sent to Kew in 1818. Why to I believe that? 1). I know that Wallich did not publish the name, Hoya parasitica, even if he may have had that name tag on the plant he sent to Kew, and in an unpublished manuscript. It could have been written a thousand places but until it is published validly (which means in the manner and wording prescribed that the International Code of Botanical Nomenclature) it can be written about in a thousand journals and still not be considered, “published.” To those who say, “But didn’t Roxburgh publish this species as Asclepias parasitica in 1814?” The answer is, “No.” The only place I’ve seen that 1814 publication date attributed to him is in Craib & Kerr’s Florae Siamensis Enumeratio page 40 (1951). Apparently, they had not read that publication. It didn’t make it into Roxburgh’s work until its 1832 revision. 2). The first publication of what we KNOW, with certainty, to be the same species as the plant that Wallich sent to Kew in 1818, is Haworth’s publication of it, as Hoya acuta. Haworth’s publication would never qualify as a valid publication today but in 1821, when Haworth published it, it met all the requirements of “valid publication.” At that time, and for many years afterward, the actual plant still existed at Kew and at Sion House. It is the only hoya that I’ve found a record of that appears to have been grown by Thomas Hoy (gardener at Sion House), though I am sure there must have been others. 3). James Traill, as noted, had the plant (and plants) in question in front of him, as did Haworth. Haworth, realizing it was an unpublished species, named it Hoya acuta and published it as that in 1821 (Rev. Pl. Succ. 4), which was six years before James Traill’s treatise on the subject was heard at an RHS meeting in 1827 and nine years before the actual publication of James Traill’s treatise in 1830. Haworth’s type specimen, is presumed to be that plant at Kew but it is likely he actually made a herbarium sheet of it but, we’ll never know. We will never know because Haworth’s herbarium was purchased by W. B. Fielding, who destroyed the specimens after examining them. Regardless of the lack of a type specimen, I believe that we cannot ignore the word of botanists who had seen the actual plant sent to Kew by Wallich and knew it to be the same plant published by Haworth as Hoya acuta. You asked if Hoya lanceolata Lindl. (1826) (not to be confused with Hoya lanceolata Wall. ex. D. Don 1825); Hoya pallida Lindl. (1826) (not to be confused with Hoya pallida Dalz. & Gibs. 1861); and Hoya albens are all the same species. Traill put a ? in front of the Hoya albens but I’ve read that this same plant was grown and sold all over England as Hoya albens. I do not know if all of James Traill’s synonymy is correct as there is some question about the leaf veins of Hoya acuta. I say that Hoya acuta does NOT have tri-nerved leaves (i. e,. three main nerves arising at the leaf base, consisting of the costa and two side nerves). I’d like to add that Wallich’s illustration of Hoya parasitica (see Wight’s Icones Plantarum 587) doesn’t either, nor do the others cited by Traill as synonyms. Others say that you can see those nerves in Lindley’s illustrations. I say that what they interpret as two side nerves is merely an artist’s attempt at colour shading to show the slight “turning under” of the leaf margins. There is one thing of which I am 100% certain and that is: NO MATTER WHICH NAME CAME FIRST Hoya verticillata DOES NOT have tri-nerved, quinquenerved, or palmately veined leaves. All of those who say otherwise are, in my very biased opinion, grossly mistaken and blind as bats! As for Mr. Kloppenburg’s long and very boring treatise (A Tale of a Misidentified Hoya Species) on the subject (Fraterna 21(1) (2008)), it is akin to taking a trip around the moon to reach one’s elbow. All of that confusing, inaccurate and out of context, whatever you want to call it, was intended to convince us that some hoya was misidentified but he didn’t say which species it was until a page and a half into the piece. I’ll not leave you in the dark. It is Hoya ridleyi King & Gamble that he has tried to prove is misidentified, though, throughout the piece the impression is left that it is all the other species he mentioned. It is really difficult to imagine that English is this man’s native tongue. 1). 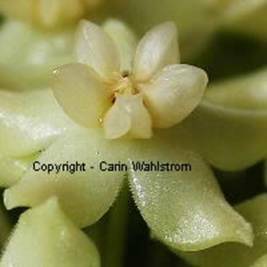 “The species is what we are now labeling Hoya acuta Haworth (Hoya parasitica Wallich, Hoya pallida Lindley).” I disagree with that statement because of the word “we” – I have never agreed that any hoya Mr. Kloppenburg labeled Hoya acuta is that species. I believe that the several varieties that Mr. Kloppenburg calls Hoya acuta are Hoya pottsii. 2). He said, “Native of the Ganges region (Delta …. Low elevation).” I disagree. It was never said by its authors that Hoya ridleyi was native to any place near the Ganges River. K & G said Hoya ridleyi hailed from an assortment of locations, all on Peninsular Malaysia. That doesn’t mean that Hoya ridleyi could not grow near the Ganges River; just that it hasn’t been recorded there. 3). He said, “ The early literature descriptions of this species are mostly consistent,” and, “The key characters of the species are:” --- of what species, he didn’t get around to telling us for about a page and a half so at this point the identity is a complete mystery. But back to the key characters that he noted ---I disagree. In the first place there are few places where Hoya ridleyi is mentioned (none in most of the cited literature) and the following leaf description doesn’t even agree with King & Gamble’s original description. I’ve encountered only two others describing this species since King and Gamble and Kloppenburg didn’t even mention them. So, no way can anyone say that anything he wrote here is consistent with all descriptions of the subject species. 4).DK said, “Leaves ovate lanceolate acuminata (Sic)’ three nerved from the base” 2-4” long X 1 “ wide. (5-10 cm. X 2.5 cm.). This doesn’t match King & Gamble’s description. 5). Continuing DK’s list of consistent features: He said, “Veins scarcely conspicuous above, invisible below. That agrees with the King & Gamble description and with the four other descriptions I found (one by Ridley, two by Henderson and the one by Hutchinson, so, in this case, I agree. Henderson, however had an illustration of one he called Hoya ridleyi in a second publication. That second illustration appears to belong to a different species. 6). DK said, “Midrib of a lighter color.” I disagree. K & G. said of the midrib, “Faint, as are the nerves generally even when dry.” Nowhere did they describe a lighter colour. 7). DK said, “Petioles are very thick and fleshy; short.” This agrees with K & G so I agree. 8). DK said, “Peduncles ½ length of the leaf, would be 3.75 cm when leaf is 3 inches long.” I assure you that no one but DK would mix metric and decimals in a plant description. K & G did not compare the leaf and peduncle lengths. He gave measurements as, “Peduncles 1 to 4 inches and rachises as .25 to 1 inch.” So I must disagree with DK. I want to remind you that what K & G described was the specimen on the holotype sheet. My observation is that the rachis length depends entirely on the number of times the peduncle has bloomed. I have found peduncles of very greatly varying lengths on almost all species of Hoya. The only ones that appear to me uniform in length are those that bloom only once and then fall, such as Hoya bella. 9). DK said, “Calyx leaflets linear, ½ length of corolla tube.” In case you don’t know, the correct name for “Calyx leaflets” is “sepals.” That doesn’t tell you anything because he never mentioned a corolla tube, nor even the size of the corolla.. K & G. said that the “calyx lobes are .06 in. long and have “no scales.” I presume they meant that they lack ligules. One thing I am sure of and that is that the hoya I examined labeled Hoya ridleyi had easily seen ligules inside the calyx. 10). DK said, “Compact hemispherical umbels; corolla inside glabrous, deeply cut.” I disagree with the “deeply cut” part. It is nit picking, I know, but I find the word “cut” objectionable. I don’t agree or disagree because, nowhere in any published description of Hoya ridleyi have I found such a description. Henderson came closest in describing the umbel as “umbrella shaped” – that’s not hemispherical but it does come close. Following those alleged key characters he said, “All the early descriptions of this species are listed below (1826-1874). Now, mind you, “this species” is Hoya ridleyi which wasn’t published until 1908. Most of the titles are correct or nearly so, but not all. Take a look at entry #14 at the bottom of page 13, It refers to a description of Plocostemma pallidum Bl. That is the plant that Miquel moved from the Plocostemma genus to the Hoya genus. In doing so, he had to change its species name because there was already a validly published Hoya pallida. Its name was changed by Miquel in 1856 to Hoya praetorii (Blume) Miquel. This species is NOT Hoya ridleyi and it is not even closely related to it. Numbers 6 and 18 in his list are the same identical publication. Now we come to the end of the long list of references that DK had us believing were descriptions of the “misidentified hoya” referred to in the title (though most of the references he cited were merely one or two lines citing specimen numbers and such, not in the least descriptive). NOW HE TELLS US, “I do not feel these descriptions are of the species in question.” So, having led us down the garden path into thinking all he’d been saying for ¾ of the article was not what he said at all, we are forced to go back and read it all over again to learn what he didn’t mean to say but did. If you aren’t confused, then you haven’t been paying attention. I passed that Mensa test, which I think means that I have above average intelligence but I’ll be hanged if I can figure out just what this man means most of the time. It’s hard to believe that English is his mother tongue or that he passed third grade grammar and spelling. And, of course, we all know he flunked geography. I think I now know what was meant when I read an article in the Sunday paper about “degrees being awarded” at one of the local colleges. There is a difference between being “awarded” a degree and earning one. It’s the same difference between having a diploma and being educated. If the route he took to get to this point isn’t “going around the moon to get to his elbow” (as I said earlier), I don’t know what is. This is where we learn, FINALLY, that the “misidentified hoya” he has been talking about is Hoya ridleyi King & Gamble. After saying that he didn’t think all those descriptions were this species, he contradicted that statement in the very next paragraph. The rest of the big mystery is a reprint of King and Gamble’s original Hoya ridleyi description with a few minor changes by Kloppenburg. 1). He cited the publication date of the King & Gamble publication as 1903. It was 1908. 2). He quoted K & G as saying, “branchlets pale, terete, lanceolate,” They actually said, “branchlets pale, terete, lenticellate.” Definition: Lanceolate is an outline or shape. Lenticellate means, “covered with lenticels.” A lenticel is “a pore in the stem of a woody plant, showing as a raised spot that may be filled with a powdery substance. The pore permits air to reach tissues below the surface.” Definition found in The Concise Oxford Dictionary of Botany, page 228. 6). In the last paragraph he said that “Here again King and Gamble were familiar with H. acuta (Hoya parasitica) having made a detailed and complete description in 1908 and did not negate that description here.” I don’t understand. The piece DK tried to copy on this page (14 of Fraterna 21 #1) IS the same 1908 publication in which they published a description of one they called Hoya parasitica. It was Hoya #14 and Hoya ridleyi was #18. As for their having made a complete description of Hoya acuta, I can only say that was not their intent as they did not appear to recognize that synonymy. The name, Hoya acuta, did not appear anywhere in the publication at all. Re K&G’s #14 entry, Hoya parasitica: The plant they described was NOT the one pictured as that species in Wight’s Icones Plantarum, which was attributed to Wallich. I love a mystery as well as anyone I know. If I didn’t I wouldn’t read at least two “who-dun-its” every week of my life. I think DK should leave mystery writing to people like Cornwell, Margolin, Martini, Patterson and Reich. They know how; he doesn’t! Letter #1: I’ve been reading a lot of new Hoya name publications over the past several years and one thing about them puzzles me. Maybe you can explain. I’ve noticed that the author always makes a statement, such as, “It closely resembles Hoya _____ except, etc.” In some cases, I’m familiar with the hoya that the author says is like the one he’s describing and I can’t see any resemblance at all. What is your take on this and why does the author feel compelled to tell me it resembles anything but itself? Reply: Custom more or less dictates that an author compare a new species with the species closest to it in the order of kinship but some authors are completely ignorant of what that order is. One Chinese author, in writing about a new clone of Hoya imperialis wrote (about 10 years ago) that it was closest to Hoya bella. In his case, I think it a case of those Chinese being so isolated from the rest of the world for so long that he wasn’t aware of any other hoyas having been discovered between those two. That’s hard to believe but what else could explain it? Not long before he died, I asked the late Hon. Douglas H. Kent the same question and he (a man who’d served as a delegate to a number of International Nomenclature Conventions) told me that in recent times, such comparisons were discouraged for the obvious reason, that is that few people publishing new species names know what’s what on that score. Yet, outside of my own criticism of a certain author’s ridiculous and inaccurate comparisons, the only criticism I hear from others about his descriptions is that the man frequently fails to make such comparisons. When he does, he is so far off the mark that it is hard to believe that his pipe isn’t filled with hashish! In describing Hoya siariae, its author wrote, “Like Hoya toricellensis (Sic) Schltr. but differs in the calyx being longer and edges are ciliate.” Nowhere did he note that the foliage is radically different in both venation characteristics and cellular structure. I see little resemblance between these two species. The most amazing thing about the above is that Hoya siariae is identical to Hoya blashernaezii in every respect except one (the bend near the inner tip of each of Hoya blasernaezii’s corona lobes, which causes the outer tips to point skyward) and, yet, the author made no mention of that species, which HAS TO BE its closest kin. The foliage is also identical in appearance & cellular structure. Two other hoyas appear to be to be varieties of Hoya blashernaezii (if that is truly not a previously published species). They are sp. IML-831 and one sent to me by Dexter Heuschkel, labeled Hoya sp. Mindoro #2. These two differ only in having reflexed corollas, instead of campanulate ones. All other parts of both plants and flowers are identical. It is my very biased opinion that Hoya siariae, IML-831 and Dexter’s sp. Mindoro #2 are all just different varieties or subspecies of a single species, which appears to be Hoya blashernaezii. It may turn out that a still earlier publication exists which will even sink Hoya blashernaezii. I don’t know of any but it is possible. Letter #2: Do still think that the species being sold as Hoya loheri is not that species and do you agree with the author, and Ms. Wayman, that its flowers look like miniature Asian Pagodas? 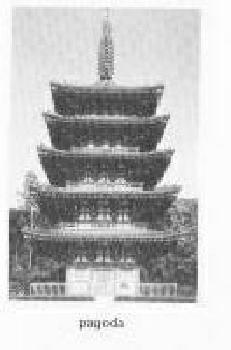 What does an Asian Pagoda look like anyway? Kloppenburg, as any who’ve read his writing know, doesn’t know east from west; north from south; nor up from down so why would anyone expect him to know the difference between a pagoda and a minaret? Of course, it was Wayman who made the “pagoda” comparison, in this case, but I believe she was quoting DK because I have seen the same comparison in his previous writing. I couldn’t find a decent picture of a minaret in the limited time I have but I have seen one on a mosque on Ponce de Leon Avenue in Atlanta, GA many times. Its dome is shaped like an onion. The flowers of this hoya are shaped like “itty-bitty” onions. Mr. Kloppenburg and Ms. Wayman, obviously flunked both basic science and Trivia 101.